Sure, we could go for the usual lotus and red bean paste, but where’s the fun in that? 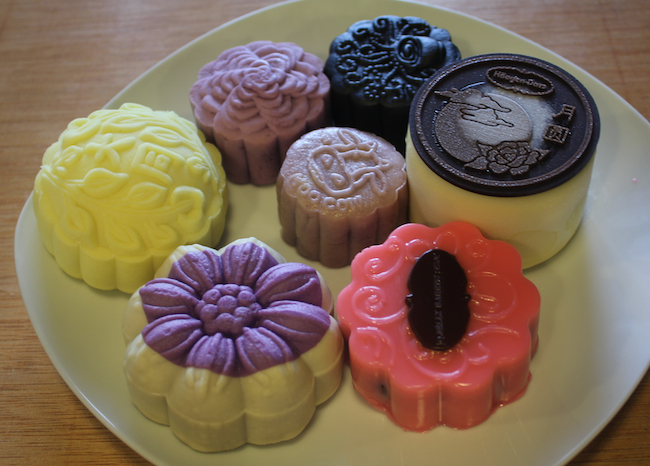 As mid-Autumn festival approaches, tease your tastebuds with some of these more unusual mooncake flavours. 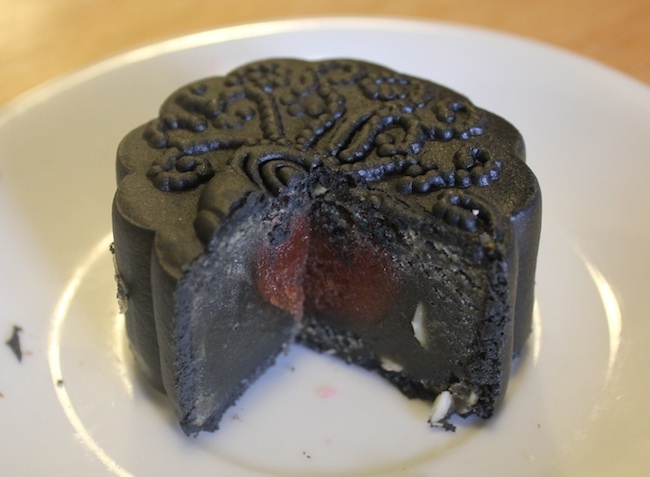 This extremely pungent moon cake is not for those with sensitive noses. As someone in our team said “it’s stronger than actual durian”. However, that smooth, soft centre coated with delicate snow skin (a kind of mochi texture casing) makes it a winner for die-hard durian fans. 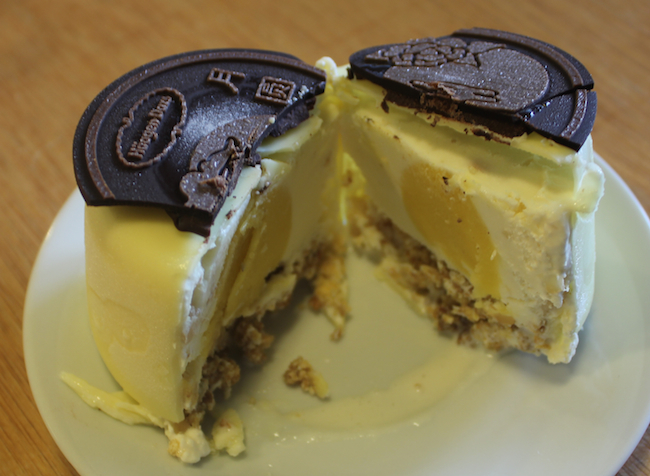 Haagen-Dazs has unveiled its selection of ice cream mooncakes – which are really more like mooncake shaped ice cream. The crisp chocolate shell and crunchy biscuit base is a satisfying contrast to the creamy ice cream, while the “egg” in the middle is mango sorbet. But at RM38, its novelty factor comes at a price. 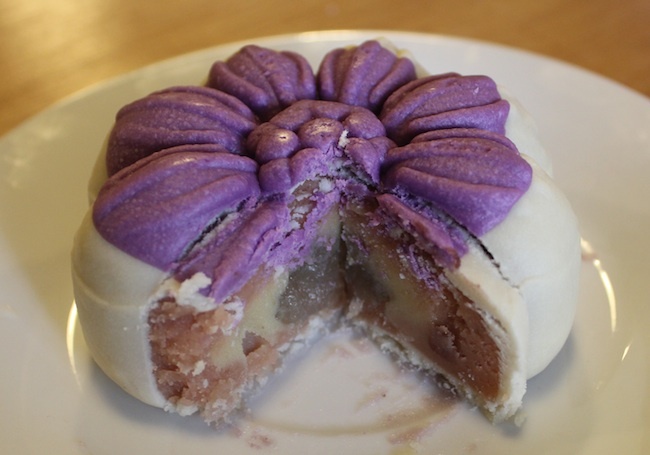 A traditional filling aside, the novelty of this mooncake is in the shell, which is a firm jelly. It’s pretty, but doesn’t really add much to the overall experience. 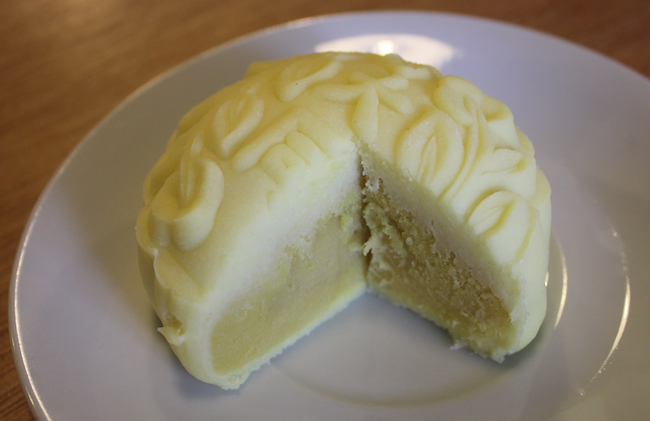 Despite its colour, this is quite a delicate mooncake. The bamboo charcoal doesn’t really affect the lotus taste. 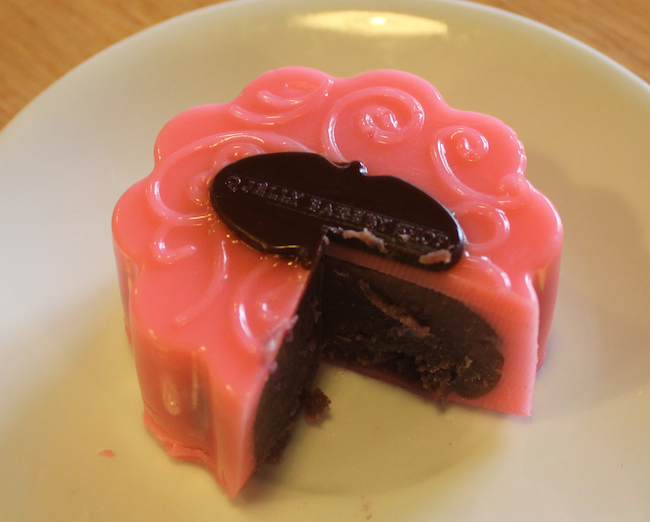 But the centre is made of a rose-flavoured paste, an unusual flavour that works surprisingly well with the lotus. 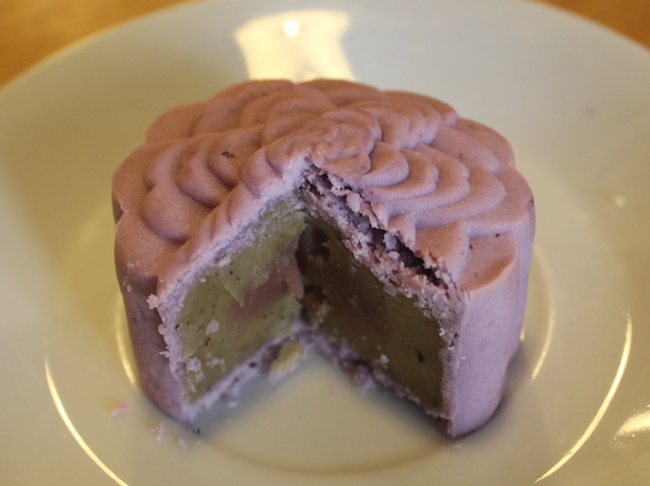 Infused with tea flavour and with a purple potato centre, this delicate mooncake is one of our favourites from the list – the flavours are well-balanced and the design is irresistable. 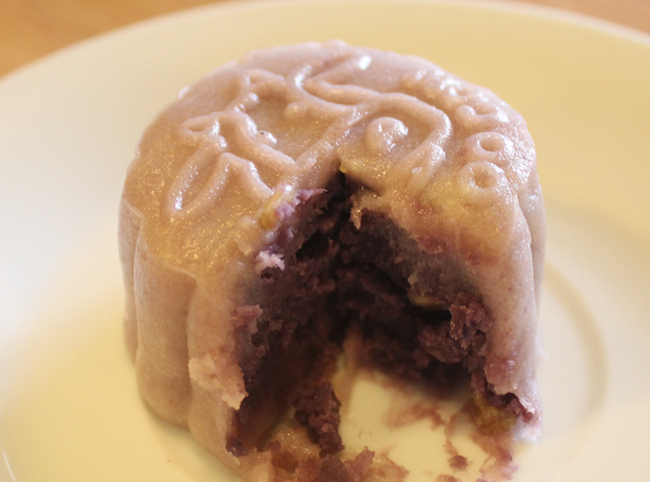 One of the most visually striking of the lot, this mooncake promised a lot but the taste was somewhat underwhelming. Cranberry wouldn’t be our choice of flavour again – and we’re not sure what to make of the collagen. Another snow skin contender, cute mooncake has a soft, sweet potato filling. It’s simple but tasty. 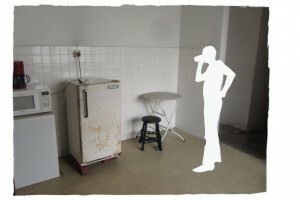 Just watch out for the snow skin – it becomes sticky very quickly out of the fridge.